Youtube Superstar “Gangnam Style” PSY, Park Jae-sang, kicked of New Year’s Eve weekend as he celebrated his birthday with a special live performance at PURE Nightclub inside Caesars Palace Las Vegas. 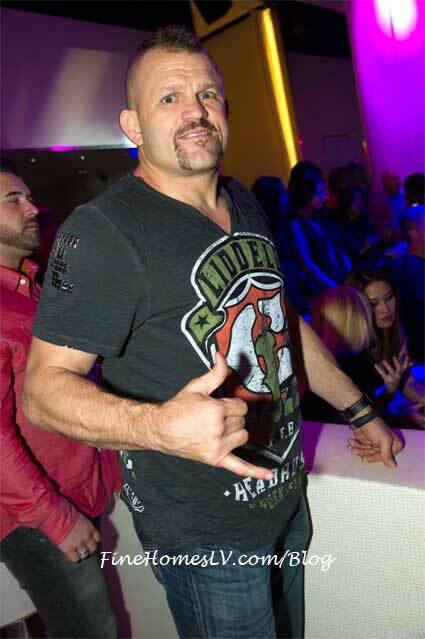 The dancing sensation arrived to the mega-club around 12:30 a.m. where he was greeted by hundreds of fans surrounding the red carpet. Looking more stylish than ever in a black suit with leather jacket, sequenced bowtie, sunglasses and loafers the star made his way down the red carpet, posed for photographers and waved to his fans. 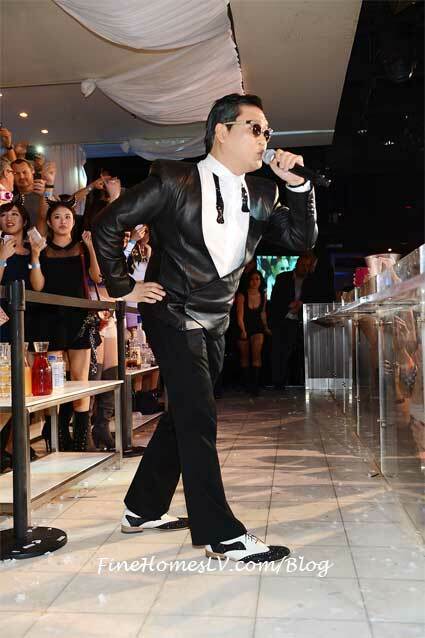 Heading into the sold out nightclub PSY was escorted to a private room where he could prepare for his performance. Wanting a more intimate birthday experience PSY was welcomed into the Red Room, where he was joined by his guests along with the beautiful PURE staff. He was presented with his five-tier, baby blue tuxedo cake stylishly decorated with bowtie, sunglasses and topped with a television honoring his YouTube accomplishment of reaching 1 billion views. 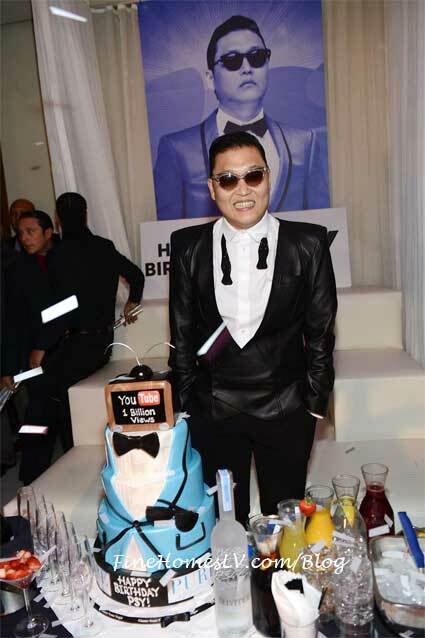 As confetti flew through the air, PSY was spotted grinning ear to ear as he admired his cake. Loving his cake so much the star requested it be brought to his VIP table and displayed for all his fans to see. 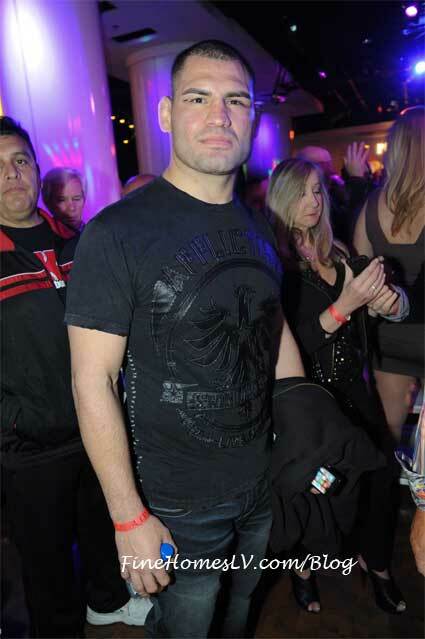 Just after 1:30 a.m. the attention of the packed club was focused on the main stage as the record-breaking artist appeared and took over the mic. Welcoming his admirers to the famed New Year’s Eve weekend PSY announced it was a very special event as he was celebrating his birthday and showed off his cake. Just before he began his highly anticipated performance PSY asked everyone on the dance floor to take three steps back, on his count, to allow room to dance along. On three, the sea of people shifted back and PSY, thrilled by the action, cued resident DJ Shift and began his hit “Gangnam Style”. The energy of the Vegas hot spot soared as PSY, accompanied by two of his gorgeous dancers, put on one of the most energetic performances PURE has ever seen. After his performance PSY took the time to greet his fans as he made his way to his VIP booth where he sipped champagne with his guests and enjoyed the remainder of his celebration.